Fill out the form to RSVP. Hear from BrightGauge customers like you as they share how they use BrightGauge to set their team up for success. In this edition, Justin Kelley, the CEO of IMPACT Technology Group, shares how he has set up goal lists for the entire team. Fill out the form to watch the recorded webinar hosted on Wednesday, March 13th. 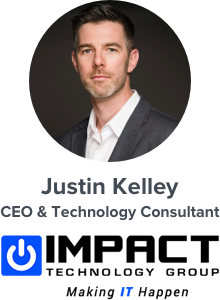 Justin Kelley is the CEO and primary owner of IMPACT Technology Group Inc. Founded in 2006, IMPACT believes technology should just work and helps their clients obtain numerous technology solutions that are simple and worry-free. IMPACT aims to provide technology that lowers overall costs, increases efficiency, gives businesses a competitive advantage, but most of all, solves problems. Justin works with customers and his team every day to find new ways to use technology, improve their businesses and processes, and maximize the value of their technology. Fill out the form to watch!